From April 15 – 17, the general public was invited to step into infinity and discover new insights at the Microsoft Infinity Room in San Francisco, California. If you didn’t have a chance to see this one-of-a-kind experience in person, take the 360-degree virtual tour of the Microsoft Infinity Room and check out photos from the #InsightsAwait photo contest. 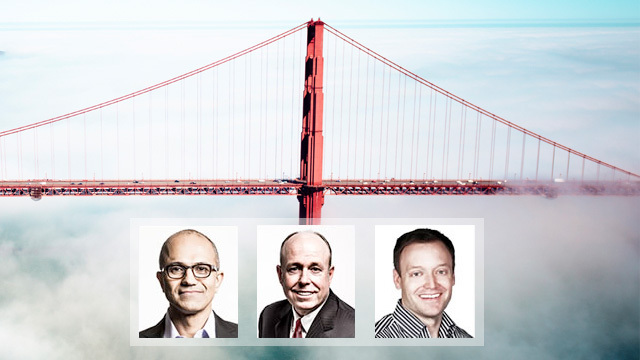 Hear CEO Satya Nadella, COO Kevin Turner, and CVP Quentin Clark speak on how to transform your data into action with the power of SQL Server 2014 and Microsoft's complete data platform. #InsightsAwait #Klout #bigdata #Microsoft provided some amazing statistics and a show to go along with it. They are on to something here. #InsightsAwait This room is destroying my mind. Thank you for your interest in participating in the #InsightsAwait photo contest at the Microsoft Infinity Room! The contest entry period is officially over. Check out the SQL Server Facebook page for more details about the winner – to be announced on or around April 27, 2014. 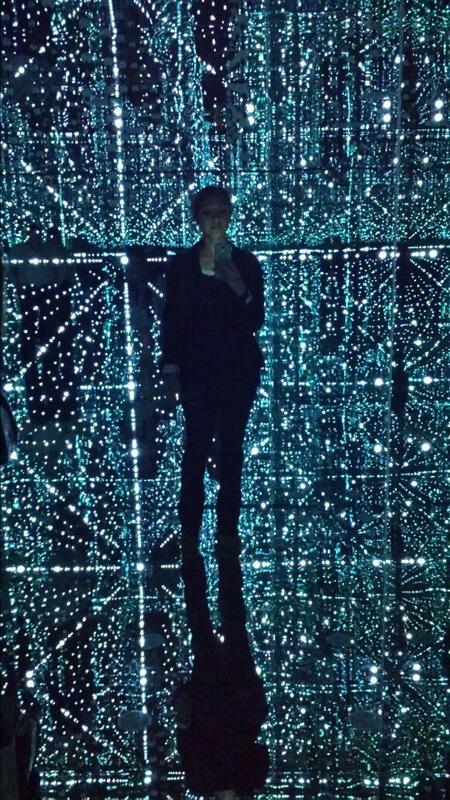 Want to learn more about the Microsoft Infinity Room? PLEASE NOTE: It is your sole responsibility to review and understand your employer’s policies regarding your eligibility to participate in trade promotions such as the Microsoft #Insightsawait Photo Sweepstakes (“Sweepstakes”). If you are participating in violation of your employer’s policies, you may be disqualified from entering or receiving prizes. Microsoft disclaims any and all liability or responsibility for disputes arising between an employee and their employer related to this matter, and prizes will only be awarded in compliance with the employer’s policies. This Sweepstakes starts at 11AM, local time, on April 15, 2014, and ends at 7PM, local time, on April 18, 2014 (“Entry Period”). •You are NOT an immediate family (parent, sibling, spouse, child) or household member of a Microsoft employee, an employee of a Microsoft subsidiary, any person involved in any part of the administration and execution of this Sweepstakes. To enter you must have a free Instagram account available at www.instagram.com or a free Twitter account available at www.Twitter.com or a free Facebook account available at Facebook.com. 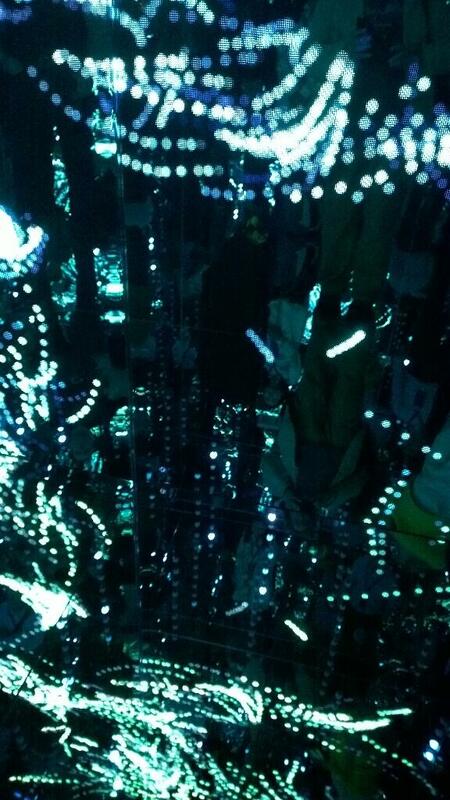 To sumit an Entry, visit the Microsoft sponsored “Infinity Room” Event and take a photo of yourself or the room. You must have permission from any recognizable person in the photo to submit it as an Entry in this Contest and to be used as described in these Official Rules. Then login to your personal Instagram or Twitter account and post the photo using the hashtag #InsightsAwait. Photos may also be entered by uploading directly to the contest site at http://msft.it/InsightsAwaitFB. The photo you submit will be referred to as your “Entry.” All requested information must be provided for an Entry to be eligible. Limit ten unique entries per person. The same photo may not be entered multiple times. We are not responsible for Entries that we do not receive for any reason, or for Entries that we receive but are not decipherable for any reason. On or around the close of the Event, we or our agency will randomly select one Grand Prize Winner from among all eligible Entries received. Limit one Prize per person during the Entry Period, regardless of the number of Events attended. Winners will be on or around 7 days following the close of the Entry Period. Winners will be notifed via messaging to the Instagram or Twitter account used to submit the Entry. If a selected winner cannot be contacted, is ineligible, or fails to claim a prize within a reasonable amount of time, the selected winner will forfeit their prize and an alternate winner will be randomly selected, time allowing. Taxes on the prize, if any, are the sole responsibility of the winner. All federal, state, and local laws and regulations apply. No substitution, transfer, or assignment of prize permitted, except that Microsoft reserves the right to substitute a prize of equal or greater value in the event the offered prize is unavailable. Prize winners may be required to sign and return an Affidavit of Eligibility and Liability Release and W-9 tax form or W-8 BEN tax form within 10 days of notification. If a selected winner fails to return the Affidavit of Eligibility and Liability Release or W-8 BEN form, the selected winner will forfeit their prize and an alternate winner will be selected. Your odds of winning depend on the number of eligible Entries we receive. In the event of a dispute all decisions of Microsoft are final. The winner will be posted at http://www.facebook.com/SQLServer on or around April 27, 2014 and will remain posted for 30 days. v-lynnm@microsoft.com or postal mail to Microsoft Privacy, Microsoft Corporation, One Microsoft Way, Redmond, WA 98052 USA, and we will use commercially reasonable efforts to remedy the situation.